The world at large is experiencing the devastating effects of the global climate crisis including droughts, floods, tsunami, water scarcity, and rising sea level. These consequences of climate change threaten the sustainable living on this planet which calls for an urgent and collective response from both developed and developing nations especially countries like Bangladesh. The World Bank stated that "While the risks of climate change for South Asia emerge as quite serious, the risks and impacts for Bangladesh are arguably amongst the highest in the region". Hence, Bangladesh can be referred as a potential hotspot and projected to face extreme river ?oods, more intense tropical cyclones, rising sea levels, and extraordinary temperatures. It is anticipated by the World Bank (2010) that a sea-level rise of one metre is expected to affect 13 million people in Bangladesh. Financial institutions, particularly banks, can accelerate the movement of a clean world to a large extent. For instance, these institutions can implement a 'go-green' policy for themselves and encourage client firms to adopt clean technology. In the long-term, this strategy is expected to be favourable for firms, to reduce the cost and induce the access to the new market. To advance their interest, banks should follow the carbon footprint of their clients or projects to ensure overall sustainability. A recent study estimates that loan exposure to higher environmental risk-sectors in the United States, European Union, China, Japan and Switzerland amounts to US$1.6 trillion. Any unfavourable changes in these sectors may result in financial shocks. This calls for banks to carefully consider clients' or projects' risk stemming from climate change and regularly disclose carbon footprint resulting from their own operations. Banks' environmental performance vary as they do not have proper knowledge about the benefits they might receive through implementing green finance. Thus, it is essential to unfold the underlying benefits of green banking for the greater interest of the planet. In response to the aforesaid global issue, Bangladesh government, regulators and banks formulated environment-friendly policies. 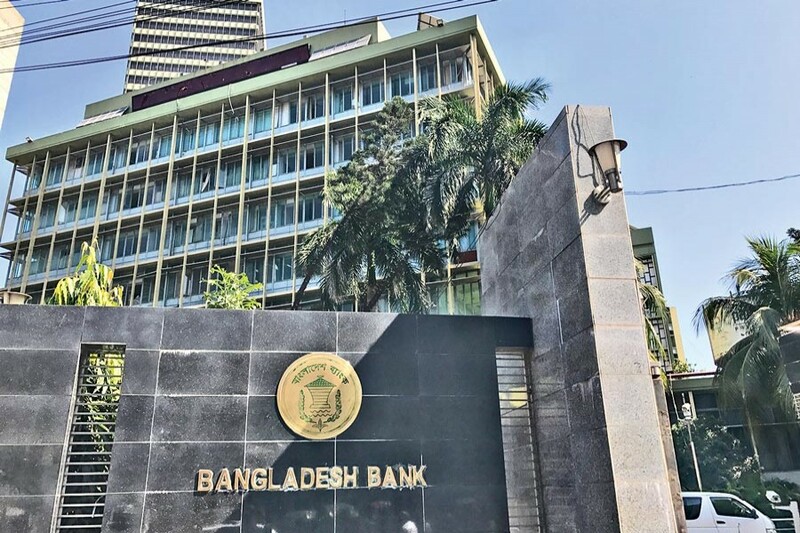 As banks are holding a large share of financial sector's assets, the central bank of Bangladesh is continuously developing guidelines for being 'green' compliance. Recent trends of green financing in Bangladesh reveal that so far 55 banks out of 56 have undertaken green banking programmes by establishing green banking unit. According to Bangladesh Bank report in 2017, a total amount of $2,022.85 million was invested as green finance during October-December quarter of FY17 by all banks. The sector-wise contribution to the total green finance shows that the PCBs play the main role (80.9 per cent). Studies show that the intervention from the central bank has high positive impact on the implementation of green banking. Regulating bodies could promote corporate accountability, transparency and consideration of impacts on the environment and society. To encourage compliance, various benefits have been offered by the government of Bangladesh and the country's banking sector regulator. For example, "Financing Brick Kiln Efficiency Improvement Project" was established by the BB with support from the Asian Development Bank (ADB) worth 50.00 million USD for local use to reducing greenhouse gas emissions and refine particulate pollution from brick fields. The Bangladesh Bank established a "revolving refinance scheme" amounting to BDT 2.0 billion (approx. $23.687 million) for solar energy, bio-gas and effluent treatment plant (ETP) in 2009. In 2017, the product line has been enhanced to 51 under 08 categories (BB, SFD Master Circular No. 03/2017). In January 2016, a new longer-term refinancing window named Green Transformation Fund (GTF) of 200 million USD was launched to ensure sustainable growth in the export-oriented textile and leather sectors (Bangladesh Bank, 2017). Along with that, BDT 3,413.63 million (approx. $40.43 million) has been disbursed until December' 2017 under this revolving refinance scheme, which gives a 5.0 per cent window on loan interest premium for commercial banks. Along with conventional banks, Shariah-based Islamic banks can also get the benefits. The Bangladesh Bank has disbursed BDT 52.00 million (approx. $0.62 million) for "Working Environment and Fire safety of Factory" under Shariah-based refinancing scheme during October-December, 2017 quarter and has also has collected BDT 0.50 million profit under this scheme. Up to 2017, four Islamic banks signed participation agreements with the Bangladesh Bank to involve more in the renewable energy and environment-friendly efforts, and strengthen the participation of Shariah-based financing. Some future initiatives by the Bangladesh Bank will benefit banks, which are- giving award points to banks while computing CAMELS rating, permission for opening new bank branches, declaring the names of the top to banks for their overall performance in green banking activities. However, regulation cannot guarantee complete compliance by banks. Empirical evidence shows green banking disclosure practices in the banking sector of emerging economy have converged over time and have become a routine process. It is very important to motivate banks for green compliance by showing some positive outcomes. For example, when banks implement different environmental strategies such as ISO 14001 and EMAS, they gain financial benefits such as energy cost reduction, minimization of water and material use. Likewise, banks, who take sustainability strategy consistently outperform in terms of valuation, profit/loss and return on equity (ROE). For investors who are disappointed with mainstream finance, they should shift more towards social banking where most of them are in search of a better perspective of transparency and reliability. Social finance institutions finance sustainable business, delivering clear social, environmental or cultural benefits as they do financing, which is directly connected with real economy- only financing business and projects those provide services and products that people need. Studies show some major reasons for banks to integrate sustainable environmental banking. Greek banks get benefits of being ecological champions whereas Indian banks adopted green initiatives to maintain win-win position. It means that these banks implement only policies, which are helpful to reduce cost and improve their efficiency. To sum up, if benefits can be presented to the commercial banks, the policy makers would definitely implement more green banking for the greater purpose.